Friday night football sees the Robins travel to Park Hall to face the Welsh Premier League champions The New Saints. 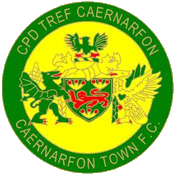 Newtown began their Phase Two campaign with an opening game to forget when conceding their first league home defeat to Connah’s Quay Nomads last Saturday. But that will be put behind the player’s minds ahead of Friday night’s under the lights at Park Hall. 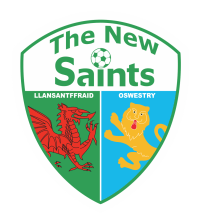 The Saints are bidding for a record 13th Welsh Premier League and a consecutive 8th title which has seen the likes of Barry Town United and Connah’s Quay attempting to stop that from happening. 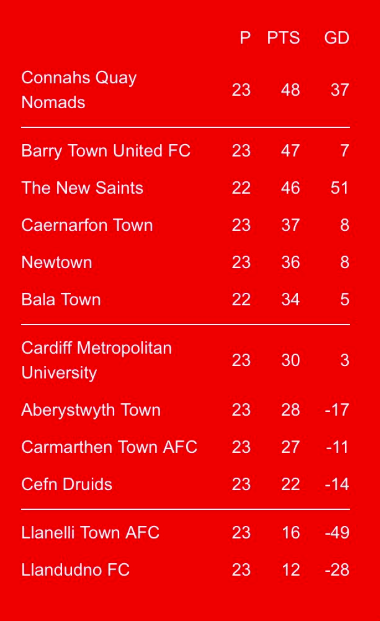 The Nomads are currently top of the Welsh Premier League but TNS have a game in hand after their opening match in Phase Two with Bala Town was postponed last week. 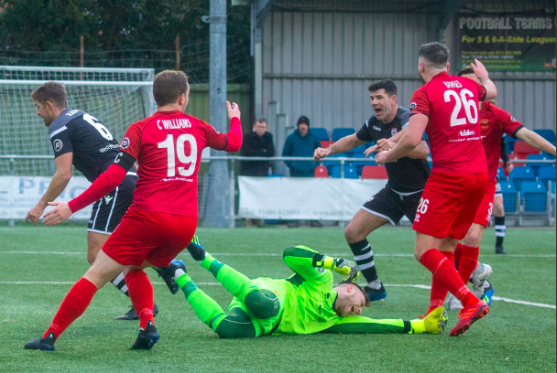 Goalkeeper Dave Jones is a doubt for Friday night’s trip after an injury concern in last weekend’s defeat to the Nomads. New signing Matty Williams remains out of the squad as the former TNS player is still recovering from a shoulder injury but has been in training with the Newtown squad. Kieran Mills-Evans returns to the squad after serving a one match suspension and will be available for selection come Friday night. 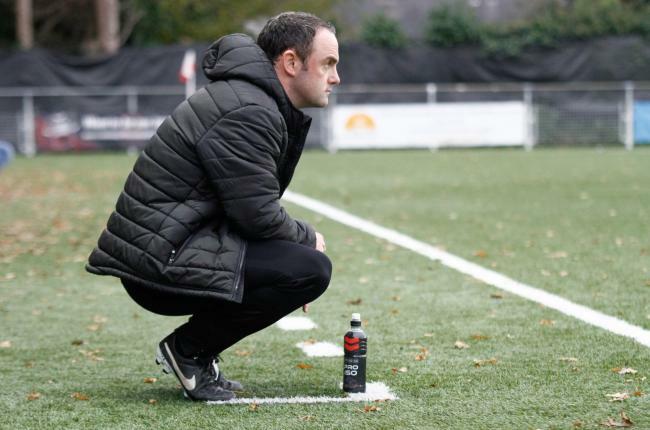 “I thought looking back at the game last weekend (Versus the Nomads), I thought we competed really well and really pleased with how we went about the game. “We were playing against a difficult team to play against Connah’s Quay. I felt we nullified them in the last periods but when you play against good sides then they will always get opportunities. “We can cut out the errors which we did for 90 or so minutes on Saturday but just made one slight mistake of not pressing the ball quick enough which we did really well all game and we had allowed them to get a goal. “If you look back at the TNS game a few weeks ago, we were well in the game. We frustrated them, we looked like we were on top in terms of having a real good tactical plan, you couldn’t see where a goal was coming from and then, similar to Saturday, lack of concentration and a good play from them scored the goal which is difficult and upsetting.